For some physicians, the path is clear – you want to start your own practice. It can be the most rewarding undertaking you ever experience. But getting a business off the ground is challenging. The Kareo Simple Start program for new practices can help. You want to start your own practice. You want the autonomy to make your own decisions, the ones that will allow you to take better care of your patients. But getting a business off the ground is challenging for anyone, especially with the ever-changing conditions facing physicians today. 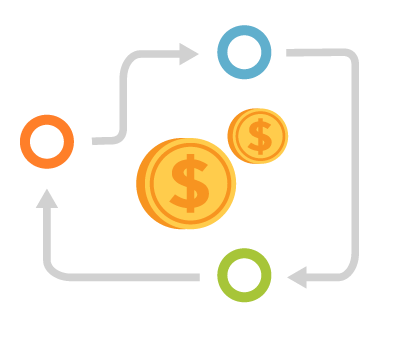 Learn how Kareo Simple Start program for new practices can help reduce start-up challenges and keep your costs and overhead to a minimum. Access a dedicated Kareo Success Team that knows your specialty and what it takes to get up and running. Building upon our collective experience with over 50,000 providers and hundreds of billing companies, your team knows the best practices, processes, and insights to help make your billing effective and your practice successful. Enjoy our fully integrated cloud-based application. Our proven, modern technology automates time-consuming tasks and simplifies workflows with easy to learn and quick to navigate scheduling, check-in, billing tasks, and more. And we’re always improving our technology to keep you current in a continuously changing landscape. Learn established best practices, processes, and workflows to help you to avoid all too common billing errors. You’ll understand what you need to get set up on the front-end so your practice can be streamlined on the back-end. Call 888-775-2736 to speak with a new practice expert today! There is a lot to think about when you start your own medical practice. Use this checklist to help you make sure you have covered your bases. Embracing healthcare consumerisum can lead to increased productivity, 24/7 acceses, and fewer human errors. Find out how Kareo can help you meet your patient needs with convenient technology solutions. 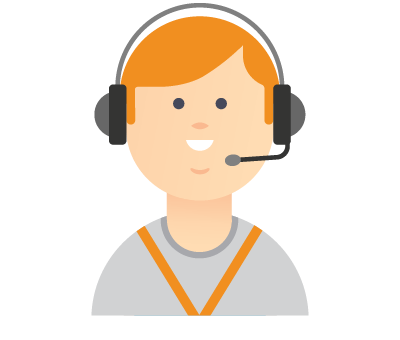 Switching to Kareo improved patient communications and increased productivity. A certain level of care and professionalism is necessary to deliver a quality experience for patients. Learn more before your next telemedicine visit. As a care provider, what does the term patient satisfaction mean to you? Find out how to deliver quality care to increase patient outcomes. User experience design plays a huge role in product development processes and we are always trying to find new ways to improve. Learn best practices about medical practice software design from Shibani Dhume, Kareo's Sr. UX Designer. Healthcare is competitive. Patient feedback is so much more than a quality assurance form; it’s your patients perception of your practice. Learn how to streamline patient engagement to boost patient satisfaction. As an independent practice, how can you ensure patient satisfaction is alive and well in your practice? Get all the information here to keep your patients happy with your office. Ashley is a freelance healthcare writer, editor, public speaker and owner of AHayWriting.com with over a decade of nursing experience in several areas of pediatric & adult oncology. 72% of adults with internet access have a Facebook account. Tapping into this traffic is a great way to connect with your current and future patients. Learn more about creating an effective Facebook page. Over the last five years, telemedicine programs have increased steadily, but for some smaller, independent offices, the questions loom larger than the technology. 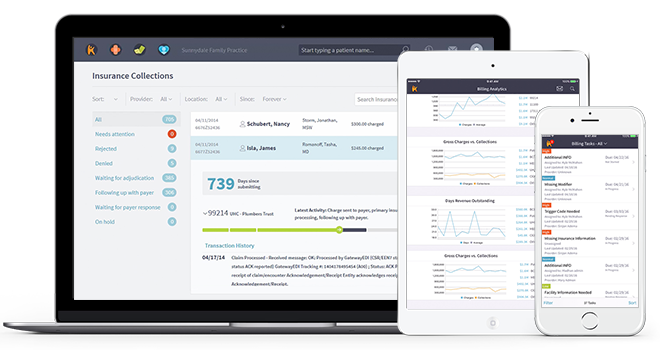 Learn more about how Kareo integrates telemedicine seamlessly into the EHR platform. 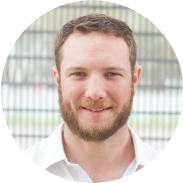 Sean is Product Development Manager for Kareo Telemedicine, a secure video visit technology for small practices. He started as clinical assistant for general surgery, and has over seven years of experience in HIT development. He works directly with physicians and private practices to address critical business issues as they pertain to regulatory support, revenue generation, clinical uses, and patient communications. Now more than ever, the healthcare system is looking to patient portals with high hopes for improving patient outcomes, but some patients put up barriers to this change. Learn three actionable solutions to help overcome these barriers. Medical billing is a critical factor in determining whether a practice is financially successful. Learn about actionable ways to reduce claim rejections. Rob Pickell, Kareo's CMO, talks to medical billing companies during the 2018 Kareo Success Summit. Learn more about future prospects and opportunities in revenue growth for billing companies. Across healthcare, data security has become a top priority. Learn how medical practices can protect patient information. Your 20-to-30-something patients are changing healthcare with their fresh perspective on the patient experience. Download more information regarding this highly influencial section of the population. Steep healthcare premiums and paying outstanding balances at the time of care, is a challenge for many patients. These tips will go a long way in helping to create a strategic plan to improve co-pay collections. Outsourcing of any type can often feel unsettling for independent practices. Here's some help in deciding if you need to partner with a billing company. Medical billing has changed. And keeps changing. The ROI of Outsourcing Your Medical Billing. Finding the right RCM partner will depend on knowing what services you need. Download the resource below, The ROI of Outsourcing Your Medical Billing. It’s estimated that patient no-shows in the United States cost $150 billion each year. Here are tips and strategies for minimizing patient no-shows for your busy practice. Without a guide on this somewhat rocky journey, some patients may not follow through with treatment or referrals. Learn more about how patient navigation is used to reduce barriers to accessing or completing care. Michelle Underhill, MA, created an atmosphere of success for her new practice. She shares the tools and solutions used to overcome her practice challenges. A lack of communication between front and back-office staff can lead to confusion in many independent, small practices. Robert Fosmire, Kareo's VP of Customer Success, helps kick off the morning sessions at the 2018 Kareo Success Summit (for medical billing companies). Robert shares key strategies to achieve a higher level of success using Kareo, and boasted some impressive metrics on how his Customer Success team is killing it! The best way to manage a rejected or denied claim is to avoid it in the first place. By implementing these best practices, you are on your way to eliminating 99% or more of your claim rejections! Healthcare is an ever-evolving field, which means there is a continual need for innovation. Nurse practitioners and physician assistants realize this need and are leading by example in meeting it. Overall, Kareo scored highest among the group that qualified as Leaders. Medical techniques and processes are always changing. This is a good thing, because it means that you have more tools at your disposal to best care for your patients, but it also means that you need to communicate these new services or processes to your staff and clients both quickly and efficiently. Certified medical coders help practices navigate the often complex maze of legal and regulatory requirements in healthcare. These highly-detailed and compliance-driven individuals also serve as a financial backbone for the practice, ensuring that physicians are properly paid for any services rendered. Host @chironhealth led a discussion at #KareoChat about how to understand and track the ROI of digital health programs. Read the recap. Was 2016 the Tipping Point for Digital Health? 2016 was a milestone year in the transition to digital healthcare delivery. Learn the truth behind 5 of the most common myths about the cloud. Here’s a look at five key FAQs about HIPAA compliance and cloud computing. Get a visual overview of the 2016 Practice Models Perspectives survey results. Find out what you shouldn’t wait any longer in this short video with Dr. Molly Maloof. If you are switching mental health billing systems, use this guide to help you make the right choice. How to launch a successful telemedicine program for your independent practice. New infographic from Chiron Health shows how your practice can see more patients with telemedicine. Learn about differences in cloud-based medical practice software and server-based here. Learn how to use the great images you have to market your practice in this short video. Follow these easy steps to get your medical practice Twitter account up and running. Kareo Engage helps providers offer a more satisfying patient experience, promote positive reviews and boost their online reputation. Learn how. Patients want more engagement and your medical practice can provide it and see measurable returns for the effort. Use this simple checklist to set up your medical practice YouTube account and start tapping into the power of video. Cloud-based medical software provides an affordable, secure alternative to installing a local server for independent practices. Learn more here. Use this step-by-step checklist to set up your independent medical practice's Twitter account. Use this step-by-step checklist to set up your independent medical practie's Goolge+ and Google Places Accounts. Use this simple ste-by-step checklist to setup a business Facebook page for your independent medical practice. Find out how to use inbound links to improve SEO from online marketing expert John Sung Kim in this short video. Here are 8 steps to set up your medical practice Facebook page. Kareo and Physicians Practice provide an eBook of expert tips to help independent practices learn to more effectively recruit and retain patients in the digital age. Kareo and Physicians Practice eBook looks at how to make mobile technology come alive at your practice. Use this simple chart to compare the services and features of your top medical billing service choices. Use this simple chart to compare the features on your top practice management system choices. Use this simple chart to compare the features on your top EHR system choices. Use this simple chart to compare the features on your top practice marketing and patient engagement solution choices. Learn how to do URLs right to get found online in this short video from expert John Sung Kim. Here are four keys to maximize your independent practice's online presence. There are some best practices and tactics to build an effective outreach campaign to millennial healthcare consumers. Here are a few tips. Is It Worth It to Go Paperless in Your Practice? Is it worth it to go paperless in your practice? If you can reduce manual tasks and increase revenue by $50,000 a year or more, yes. Here's how. Here are critical things to consider when choosing or updating your medical practice software. 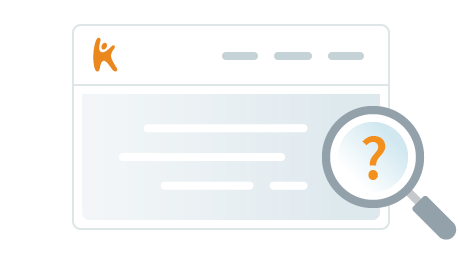 Learn how Kareo provides its services on a highly secure and controlled platform. To be successful you need to know where you are, where you are going, and how to adapt. Here are tips on how to do that in an independent practice. Dr. Molly Maloof provides her five tips to get started and make the most of medical practice social media in this short video. Is Concierge Practice Right for You? In concierge practices, patients pay for enhanced medical access and service. There are many considerations to weigh. Here are some tips to help you decide. Learn the Pros and Cons of different types of practice models as well as the importance of technology, practice marketing, and patient engagement. Cloud-based medical software offers the same functionality as its server-based rival in a more flexible, cost-effective package. Here are 5 reasons to consider a switch. A new study from Software Advice shows that physician reviews are having a greater impact on patient decision making. Bad online reviews can happen to any business. It’s important to understand the best practices to respond when it happens to you. Follow these 5 steps. Did you know that your name is being Googled anywhere from 20-100 times a month? Make sure you can be found! Is your website properly optimized for Google? After your title tags, your keywords are the second most important component of SEO. Learn how to use keywords in this short video. Have you heard the term inbound links? Wondering what that means for your website SEO? Find out in this short video. Have you been hearing the phrase responsive website and wondering what it is and if you have one? Expert John Kim answer your questions in this short video. Still wondering what patient engagement is and what the benefits are to your practice? Find out in this short video from Dr. Molly Maloof. Have you hesitated to get started with social media? Find out what you shouldn’t wait any longer in this short video with Dr. Molly Maloof. Not sure how to get started with social media for your medical practice. Dr. Molly Maloof provides her five tips to get started and make the most of social media in this short video. Learn John Kim’s rules for managing Yelp and dealing with negative reviews in this short video. The June edition of the Kareo Getting Paid Newsletter has the latest updates on ways to increase patient visits by 25%, what patients are really looking for in a provider, and patient engagement. The November edition of the Kareo Getting Paid Newsletter has the latest updates on uncovering the ROI of patient engagement, the top medical practice Facebook pages, and tips to manage ICD-10 denials. Do Online Patient Reviews Impact Revenue? John Sung Kim discusses what the impact of online patient reviews is on your medical practice and your bottom line? Kareo combed through hundreds of medical practice Facebook pages looking for examples of practices engaging patients on social media. Here are the top 20. Here is a look at the insurance policies you need to make sure you and your new medical practice are covered. Physicians are increasingly frustrated with current fee-for-service healthcare. New survey shows many changing or adding alternate models. To empower the small practice physician, Kareo is shining a light on the path to success - an agile medical practice model - combining traditional fee for service options with the flexibility of concierge services. Follow these seven steps to hiring the right people for your new medical practice, and you will gain a valuable team member, invested in your success. Practice management expert, Cheryl Bisera, looks at the questions providers should ask to determine if changing to alternate payment model make sense. For new physicians protecting future income is critical. Expert David Mandell provides tips on how to get started. Do You Have An SEO Strategy for Your Practice? Molly Maloof is often complimented on her online presence and SEO. Here is her list of favorite SEO strategy tips. If attracting medical billing talent is difficult it may be a reason to consider outsourcing. Starting a new medical practice is exciting but it also comes with challenges. Avoid these common pitfalls and get your practice started on the right foot. 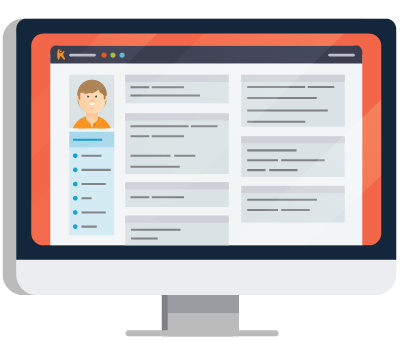 Kareo combed through hundreds of medical practice websites looking for great examples of practices that are doing it right. Here is the list of Kareo’s top 20 medical practice websites for 2015. For any enterprising and entrepreneurial doctor, it is important to make your presence known. Here are some tips on growth hacking for your practice. Black Book Rankings 2015 User Survey on the Top Integrated Electronic Health Records, Physician Practice Management ,and Billing Vendors is out. Here are some key findings. Every new business needs a business plan, including a new medical practice. Here’s a look at the important points to include in your business plan. Kareo Again Ranked as Number One Integrated EHR, Practice Management, and Revenue Cycle Management Software Vendor. The April edition of the Kareo Getting Paid Newsletter has tips for launching a successful new practice along with practice marketing best practices. The January edition of the Kareo Getting Paid Newsletter highlights some of the ways you can outsource tasks and improve your practice. As a follow up to his webinar, 5 Marketing Tips to Get New Patients Now, John Lynn has answered questions posed by participants about medical practice websites. Can Small Practices Stay Independent? EHRs are full of promise but its takes more to help small practices stay independent and thrive. Seamlessly integrated practice management, billing, and EHR may be the solution. Practice management expert, Audrey McLaughlin, discusses how staffing impacts start ups and provides 4 things to consider when staffing a new medical practice. New report from AAMC provides updated projections on physician shortages through 2025. A diverse approach is needed to meet growing demand for services. Let’s face it: EHR implementation can be a costly venture. What type of EHR ROI can the average practice expect? To navigate through staff conflict successfully, remember these tried-and-true tips. Follow these 6 steps to build a great medical practice culture where employees love to come to work and that reflects in their patient interactions. One area where outsourcing can make a lot of sense for your medical practice is inbound and outbound phone calls. There's no point in having a medical practice website in no one can find you! These tips can help you get found online by patients. Renting versus buying equipment for your medical practice is a big decision. Consider these factors when choosing which is best for you. Electronic health records (EHR) and practice management (PM) solutions continue to provide worth and value beyond their initial investment. You can use social media and stay out of trouble on HIPAA with these tips from expert David Harlow of the Healthblawg. One of the hot topics for practice planning heading into 2015 is whether or not to add new providers, and practices are looking at NPs as an option. Here are five recommendations on using Facebook in your medical practice from practice management expert Audrey McLaughlin. In the complex world of healthcare, a strategic plan offers some stability to medical practices. Here is an overview of why this is important. Today's practice managers wear a lot of hats. So hiring the right person can be a challenge. Here are expert insights into the questions to consider when hiring. Kevin MD answers the most common questions asked at his recent free webinar Define Your Online Reputation: A Social Media Approach. Cloud has been a trending topic in healthcare for several years. There are many benefits to using the cloud in healthcare including these six. There are lots of practices looking to buy Health IT software. Using rating sites can help narrow the field and increase purchase satisfaction. If your practice isn’t using email for patient marketing, you’re missing an opportunity to communicate in a way that builds loyalty and contributes to increased revenue. Once you have determined that starting your new medical practice IS for you, then its time to dive in. Here are the first five steps you should take to get started. You’ve chosen a community, practice name, location and staff and established a new medical practice. Now you have to attract patients with marketing that works. Having a website for your medical practice matters. You simply can't compete today without one. Here are SEO guidelines to attract local patients. Whatever the reason, you need to fill a medical practice staff position. Here are 6 steps to follow to do it right. What's Your Ideal Medical Practice Staffing Mix? There is no hard and fast rule on how many staff you need because every practice is different. Use these tools to assess your medical practice staffing. Whether you know it or not, you have an online presence. Here are 4 steps to take control of that presence, engage patients, and manage your online reputation. The desire for integration is an expectation among healthcare IT buyers. It’s only logical for EHR, practice management, and billing to integrate. ﻿With increasing challenges, small medical practices are struggling to stay independent. According to Black Book, to combat this problem, practices are upgrading technology. Michelle Meyer-Ban, WHNP-BC wanted to have a practice where she could serve patient the way she wanted. She found that the right technology made it "totally doable". Choosing the best medical billing and practice management software is an extremely important decision for your practice. Kareo can help you. You can’t compete in the digital age without being digital. You need a website and patient portal. Download this guide to learn how to plan and implement yours now! Whether you know it or not, you have an online reputation. Take control of your Internet presence, engage patients online, and manage your reputation. Download this guide for simple steps to start now. According to BlackBook, for three years in a row, Kareo is the #1 integrated EHR, Practice Management and BIlling Vendor. And we continue to innovate to improve our platform!